Deputy Prime Minister and Minister for Infrastructure and Transport Michael McCormack says he is keen to listen to proposals for regulatory reform from Australia’s general aviation sector. 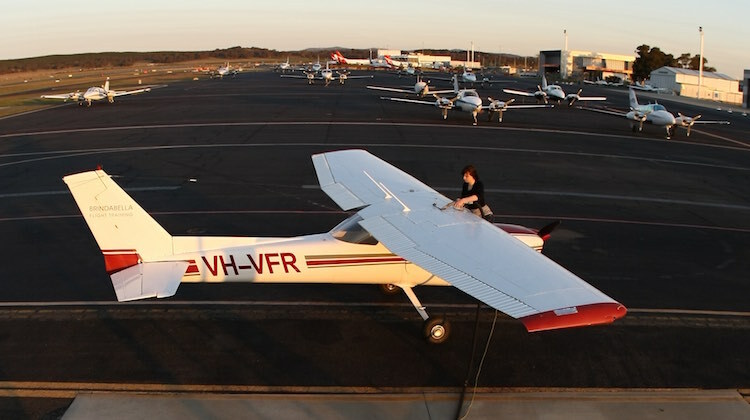 Representatives from more than 30 industry associations have gathered in Wagga Wagga for a two-day Australian General Aviation Alliance (AGAA) general aviation summit, which kicked off on Monday. 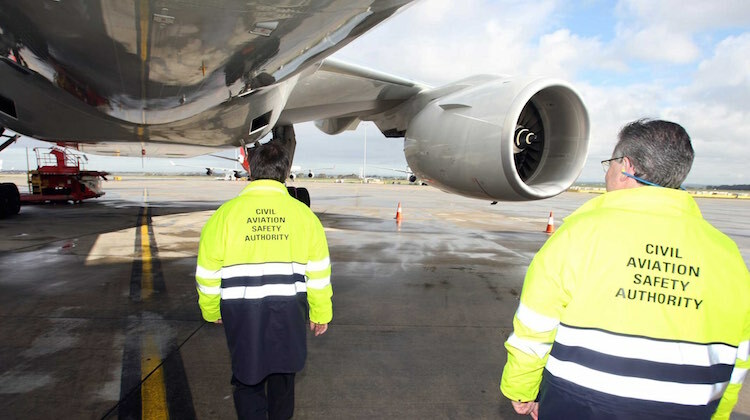 The AGAA has proposed changing the wording of the Civil Aviation Act, which currently as stated calls on Australia’s Civil Aviation Safety Authority (CASA) to “regard safety as the most important consideration” in its role regulating the industry. Instead, CASA would be charged with ensuring the “highest level of safety in air navigation” in addition to having consideration for “an efficient and sustainable Australian aviation industry, including a viable general aviation and training sector” and “the need for more people to benefit from civil aviation”. Further, the AGAA proposal also called for the main object of the act to be to establish a regulatory framework for maintaining, enhancing and promoting the safety of civil aviation with particular emphasis on preventing aviation accidents and incidents. And the AGAA also wanted the Civil Aviation Act to recognise the “importance of having a strong, efficient and sustainable aviation industry, and of enabling more people to benefit from aviation”. The chairman of the general aviation summit Geoff Breust said in his welcome letter to delegates that there was “already consensus that the Civil Aviation Act required amendment”. “Indeed the view has been around for some years,” Breust said. Delegates were also expected to come up with a communique outlining reforms designed to lift the regulatory burden and lower costs for those working in the general aviation sector. McCormack said the federal government welcomed any suggestions that would improve Australia’s aviation safety legislative and regulatory framework. Further, the Minister encouraged all delegates to focus on proposals that were “likely to have a practical effect delivering tangible improvements to the challenges GA is facing”. “The government is working with you to deliver meaningful reforms for the benefit of general aviation while maintaining the high aviation safety standards demanded by all Australians,” McCormack told delegates in his speech. “I will continue to listen and carefully consider the issues raised by people in the general aviation sector, and the government and portfolio aviation agencies will respond appropriately. “I am keen to hear from you on the key issues you want tackled by government and industry that relate to GA operations in Australia. Airline Owners and Pilots Association of Australia (AOPA) executive director Benjamin Morgan said a change to the Civil Aviation Act and the adoption of rules from US Federal Aviation Administration (FAA) would help unlock the potential of this country’s general aviation sector and meet the demand of the airline industry. While some in the sector have been calling for genuine change for at least a decade, if not longer, Morgan said there was hope the current push would yield those sought after reforms. “Our industry has had plenty of demands over the years so we appreciate and we value the support that the Deputy Prime Minister has shown today,” Morgan told reporters on Monday. “I’m actually reasonably buoyed by the statements that have been made. I can see that there is a clear intent and what we are going to be working towards to make sure that that intent translates into action. “The Aircraft Owners and Pilots Association will be working very hard to see to it that the Deputy Prime Minister honours his word and continues to work with this industry to provide a viable outcome because the reality is if we don’t achieve this we will see the general aviation industry collapse even further. AOPA has previously described the general aviation sector as “collapsing under the weight of regulation” and slowly dying. McCormack said in his speech Australia’s Civil Aviation Safety Authority (CASA) was committed to completing the aviation regulatory reform package over the next 12 months. In the meantime, there was ongoing work to improve the lot of those working in aviation, including general aviation. To that end, the Minister announced in his speech changes to indemnity insurance for flight examiners. “With effect from 1 September 2018, CASA indemnification will be provided to all Flight Examiner Rating holders and will continue for Approved Testing Officers,” McCormack told the summit. “This announcement follows the completion of a policy review and public consultation by the Department of Infrastructure, Regional Development and Cities earlier this year. News of the resolution surrounding indemnity insurance followed an announcement from CASA on Saturday it had introduced a new category of private pilot medical certificate that aimed to simplify the process and reduce costs for private pilots flying piston engine aircraft with a maximum take-off weight of less than 8618kg. Further, operations were limited to below 10,000 feet in day visual flight rules conditions, with up to five non-fare-paying passengers. The new Basic Class 2 medical certificate means pilots can use their own general practitioner for aviation medical certification, then complete the process online for a $10 processing fee. This compared with having to visit a special aviation medical practitioner and pay a $75 processing fee under the previous arrangements. “The new Basic Class 2 medical certificate is safe, simple, fair and inexpensive,” CASA director of aviation safety and chief executive Shane Carmody said in a statement. “The medical certificate reforms made by CASA cut through unnecessary regulatory red tape and directly benefit many people in aviation, particularly those in general aviation. Further, McCormack said CASA had started work with the industry on the development of new general aviation maintenance regulations. “There will be a new set of maintenance regulations tailored specifically for general aviation, which will be based as far as possible on best practices in leading aviation nations, such as the United States,” McCormack said. I’m happy for all the PPL’s out there though. Great that he’s listening… but many before him have claimed the same and talked the talk. Can he actually walk the walk? Once again however AvMed is woefully behind the game, BasicMed in the US permits day AND night and VFR AND IFR operations. They are also permitted to 18,000ft. What is different with our pilots down here that we can’t be trusted to fly with O2, in the dark or on instruments on a basic medical? Reducing the cost of licencing for private pilots won’t do much good because the actual cost of flying is so high, many people can’t afford to fly. The capital, maintenance, fuel and insurance costs make GA flying unaffordable and/or not cost effective. There are not many, if any reductions in sight for these costs; the direction is for continuing increases. One only has to look at the prices being asked for used aircraft to see how many people are trying to leave GA by selling out. As someone with an RPL who wants to fly occasionally for recreational purposes, I point the blame squarely at GA themselves. CASA only requires me to do a flight review every two years regardless of flying time and I’m supposed to be allowed to fly any light single engine plane. Yet every GA operator hiring out planes wants me to pay them for their own version of a flight review every 45-90 days and again if I want to use a different light plane and again if I’m new to the operator. GA has not taken any notice of the changes CASA made when they replaced the old GFPT licence to the RPL. They’ve continued to burden customers and themselves by attempting to enforce their own rules on customers. I should be able to hire planes from anyone offering a suitable plane based purely on my CASA licence. I shouldn’t have to “prove” myself to each and every business and have to do it every few weeks. I discontinued my flying due to the need to constantly do pointless checks with instructors every few weeks. I note that one of the GA operators that was enforcing a “45 day company check” on RPL pilots recently went into administration. Airborne Aviation at Camden. I would have been giving them business if they’d allowed me to hire planes without needing to go with their instructors all the times for a “check”.